HGTV.com used our medicine cabinet turned tool cabinet as a great example of reusing old salsa and baby food jars. 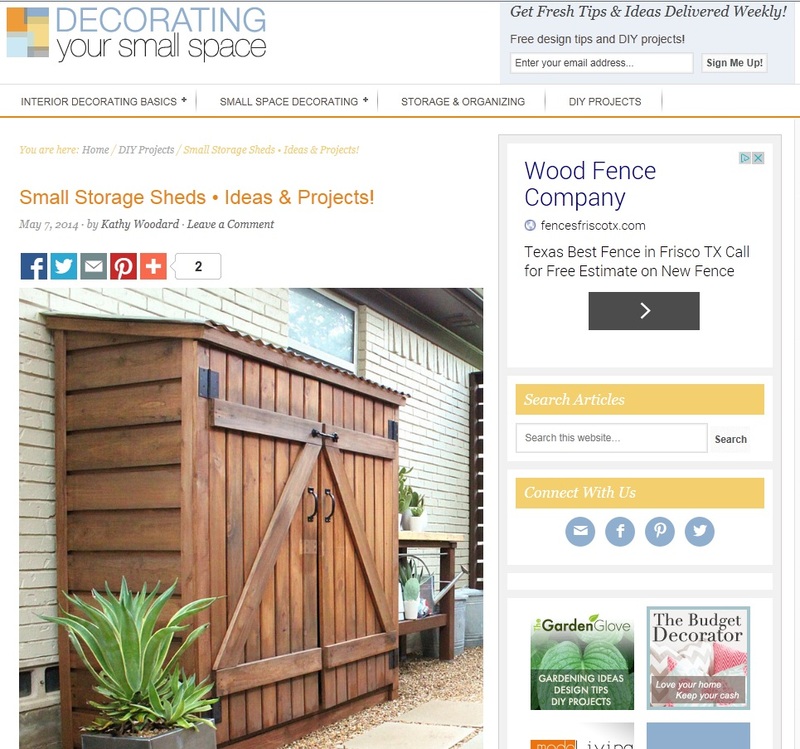 Another internet favorite, our tool shed, appeared on BEES AND ROSES. 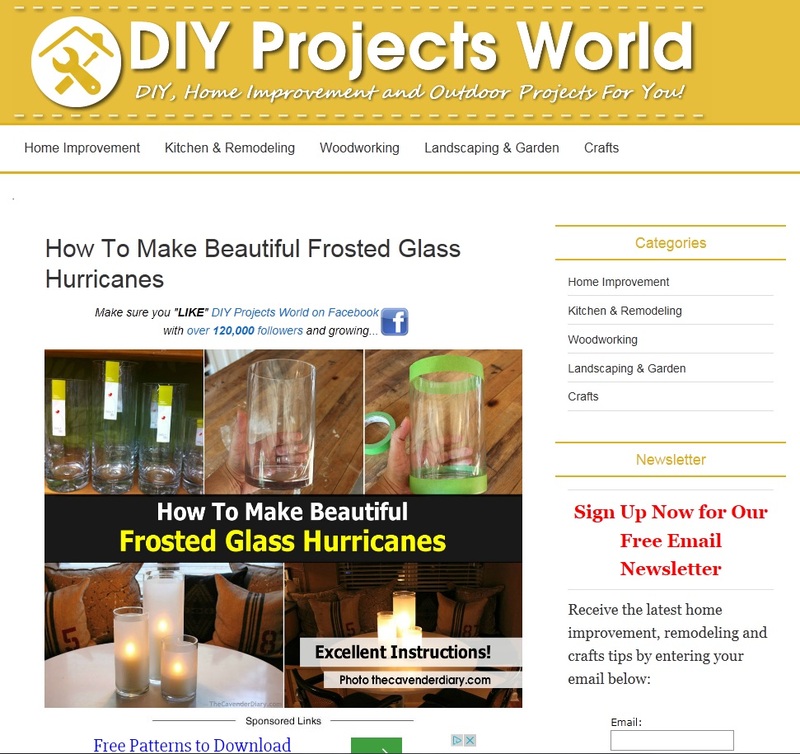 I knew this was a cool idea, So does DIY Projects World. 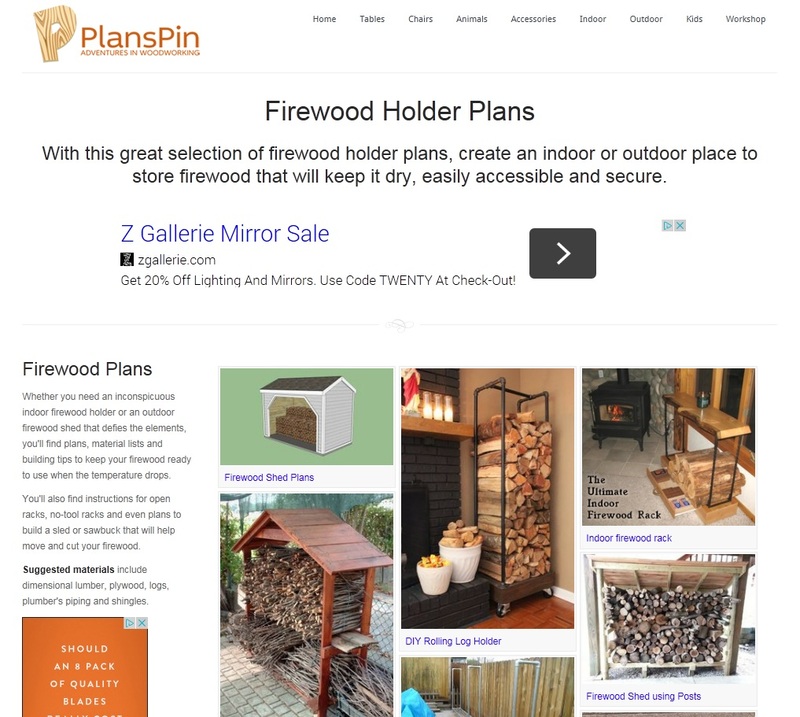 Again with the Plumbing Pipe Firewood Holder, this time on PlansPin. 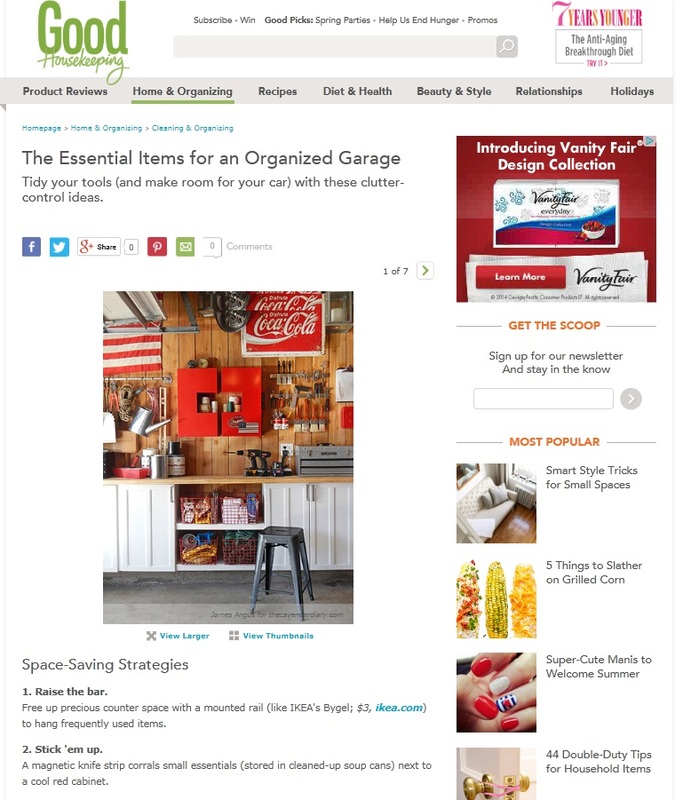 Good Housekeeping had the Good Sense to showcase our organized garage…. 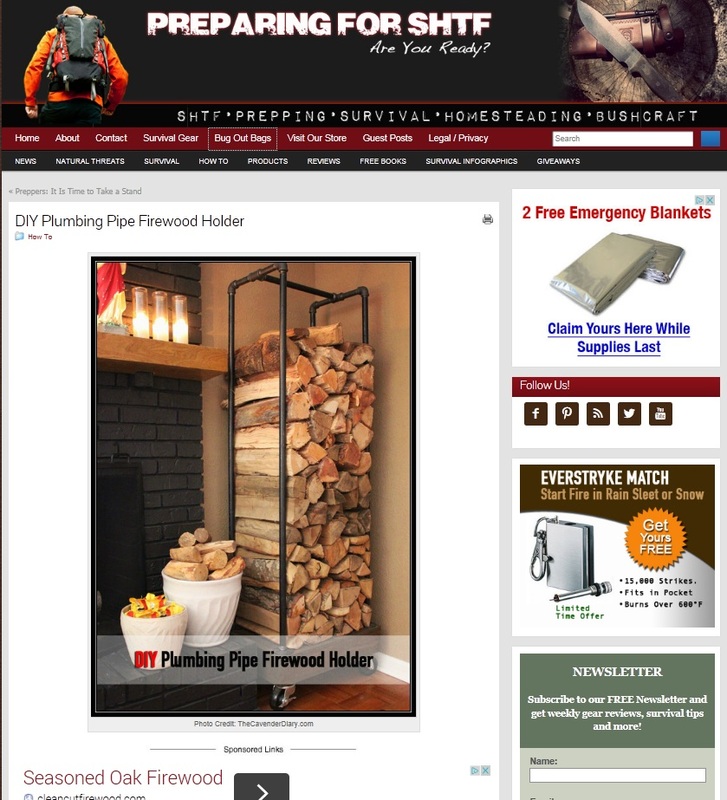 There’s that shed on Decorating Your Small Space…..
We inspired A Scrumptious Life with our Sweethearts Arangement…..
That log holder project on the Homestead Survival…. Home tour on Eclectically Vintage…. Diply.com suggested our magnet solution too. There’s that magnetic organizer from our Garage again, this time on Paint and Pattern. 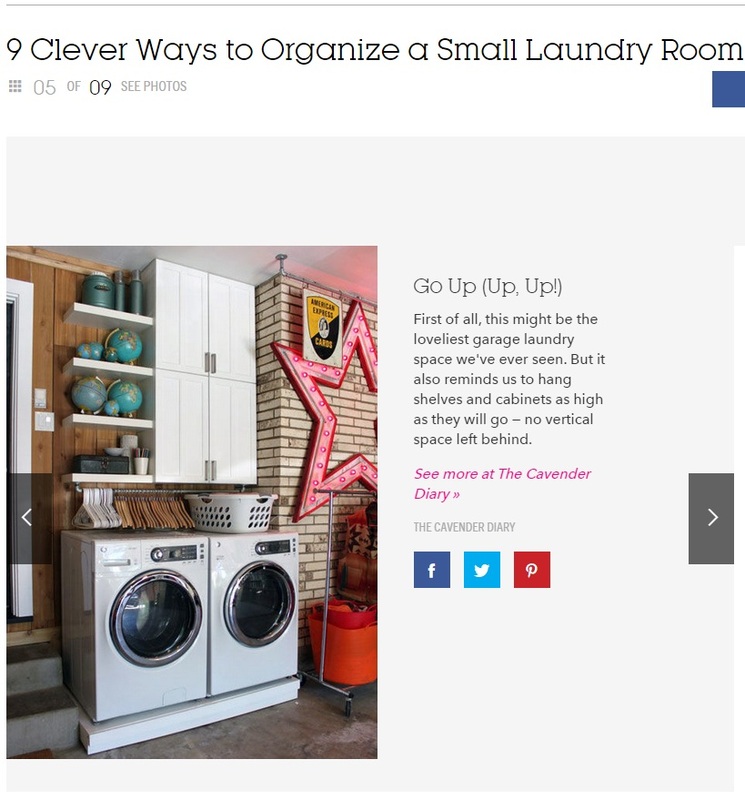 One of our favorite blogs, Funky Junk Interiors added our grain sack pillows to their Link Party…..
Again with the garage, this time on Apartment Therapy…..
Dolan Geiman focus on our “Country Picnic” garage…..
i DIY because wanted to know ………why we DIY, of course. 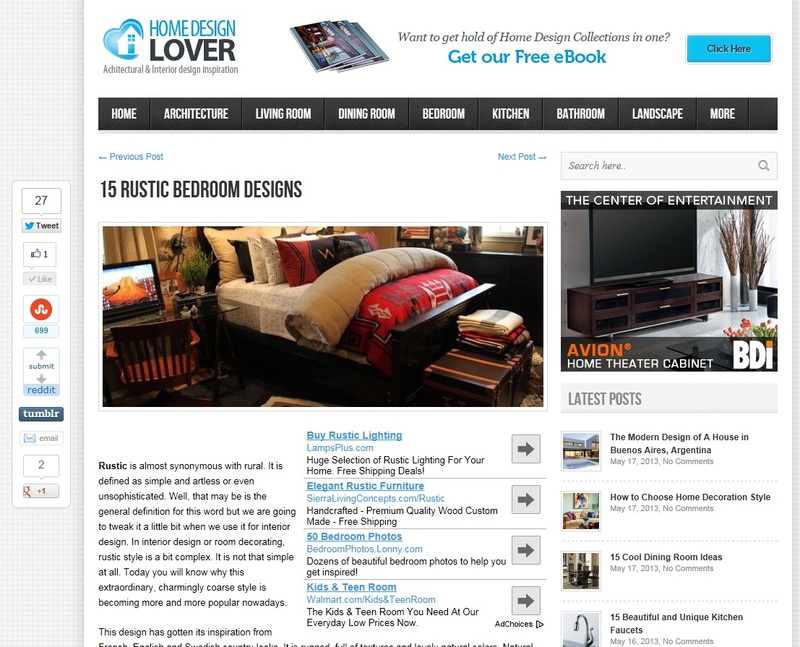 Jackson Pollock Pillows on Home-Dzine, South Africa’s leading source for home inspiration. Bet y’all didn’t know that we were this organized. Our overly organized garage was featured on I Heart Organizing. Look who’s vintage toy cash register pic is on the Pronghorn Publishing website, Why ours. of course. We have no idea what K@POOK! is, or what they are saying….we assume it’s pleasant and not about terrible American style. 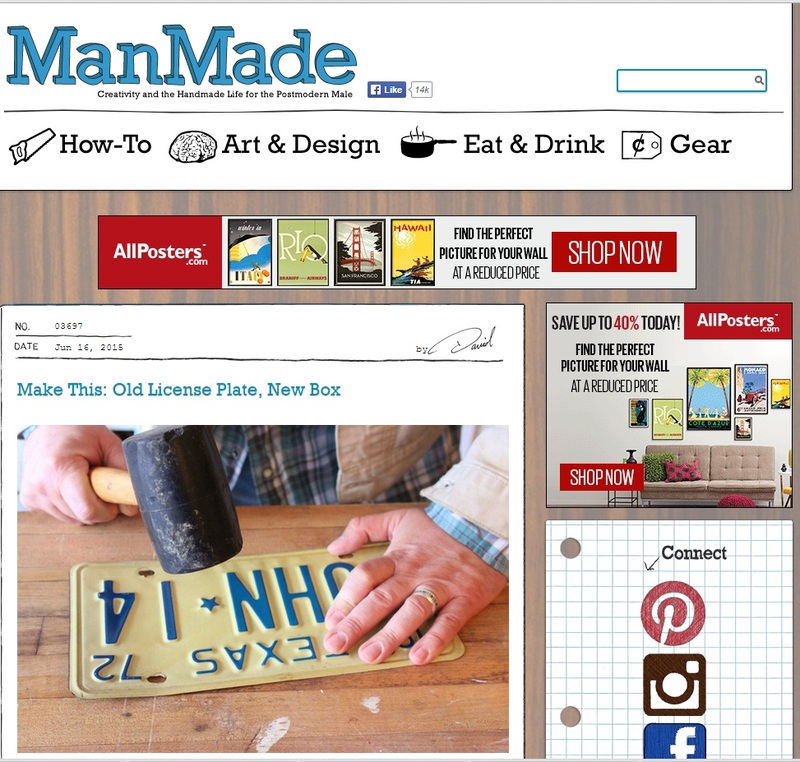 Inspiring style on the Harbor Freight and Tool blog. Home Design Lover was inspired by our big ornament wreath…..
Annie at Live Simply simply had to share our magnetic organizer idea. Shout out for inspiring photographer Tara Bradford. Quoted in the Washington Times…. Brooklyn Limestone found inspiration in our magnetic tool storage idea. Royal Design Studio showcased our tool organization in the garage. 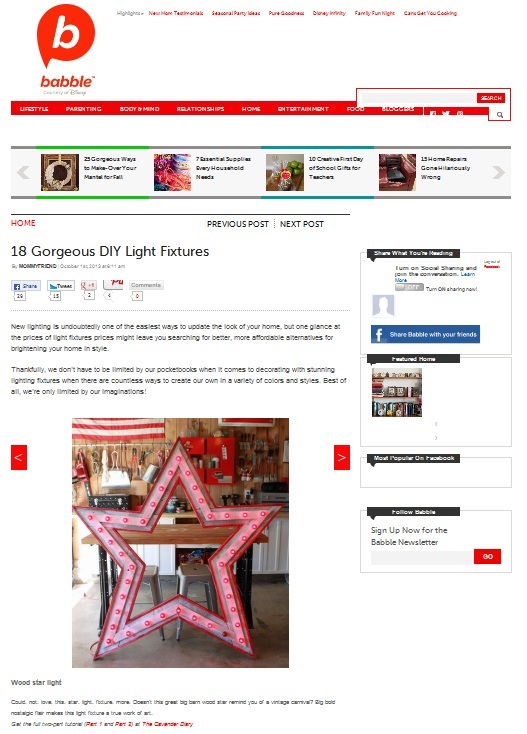 Our whole house was featured on HOUZZ 2 days before Christmas. Country Living Christmas Tree Contest on Pinterest. Our Jackson Pollock Pillows and Colored Ikea Borrby Lanterns on Young House Love’s Pinterest Challenge. Found y’all on The Browse! Must say I am a little bit obsessed already. I have a very similar aesthetic……must be a Dallas thang. I am researching to begin my own blog in April when I buy my first house (most likely in the Marsh/Royal area). You two are fantastic inspiration!!! Keep it up! 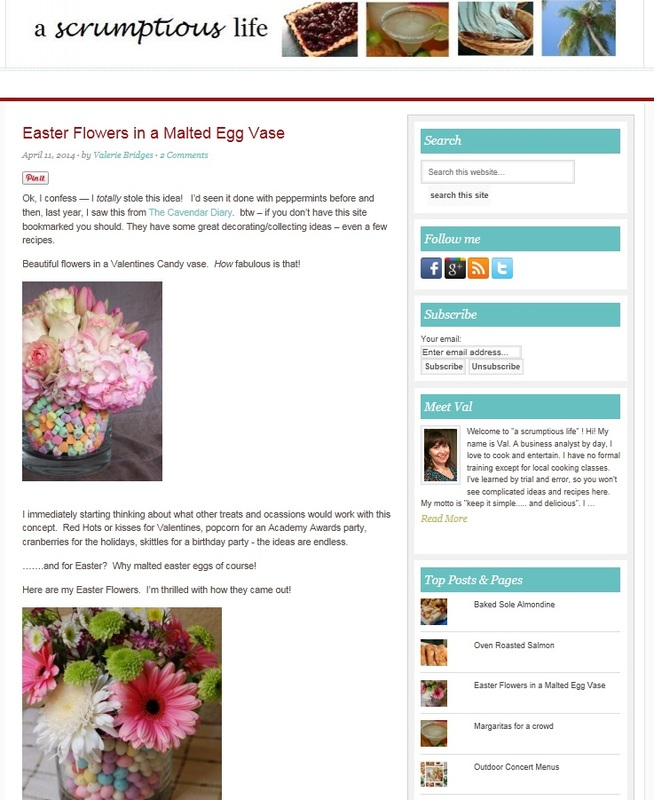 Thanks Brie, glad that we can inspire you with your own home…..and blog. We are still learning with each. Keep us informed….we’d love to follow along. What about the yard? Would like to see some before and after photos! I stumbled on to your blog trying to find a Shiner Chili recipe (thanks!) but my god, your home is awesome. We think YOU are awesome, Nicole……and our Shiner Bock chili is killer. Make it today….. 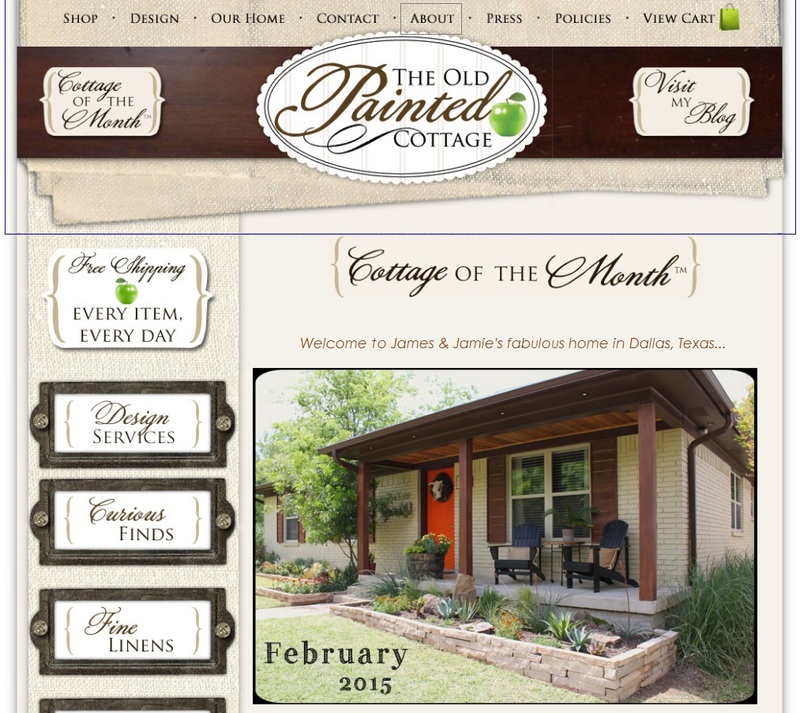 I stumbled onto your blog – no idea how – you know the internet rat hole – click, click click! Would you be so kind to tell me what brand those Army blankets are you got from the store near your home. They are great and hard to find on the internet at the price you got them! Brand? Are you kidding? That’s just it, they’re army blankets …….there aren’t any tags. Just check a few Army/Navy stores near you. I think they all have them . Hi Joey, I’m so sorry but I just can’t part with it. It was a gift from a dear friend who’s father was also a marine. But I promise to be on the lookout for one for you…or maybe even just a patch to put on your own pillow.